A brilliant last 1 year spent at the Boot Camp with this club. 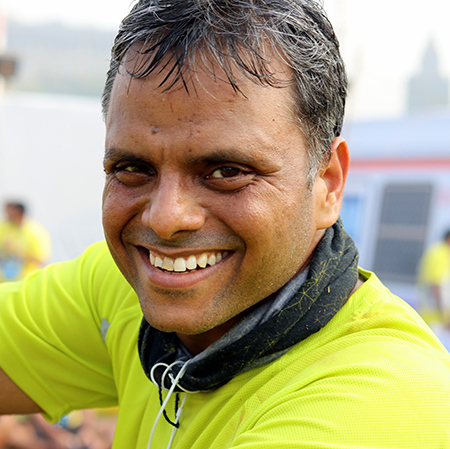 Chief coach Pravin Parab along with our group coach Liyakat has really increased my endurance levels to a new high and enabled me to take part in half marathons confidently in the last one year. 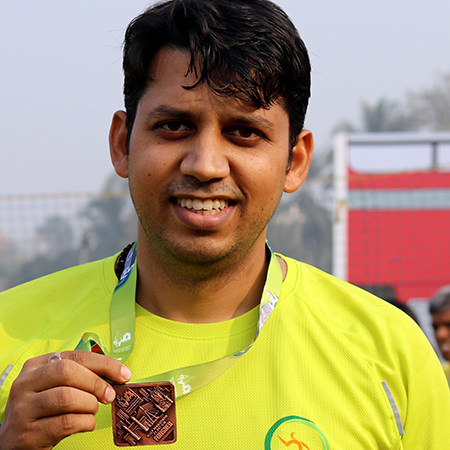 Allowed me to achieve a stellar performance at SCMM 2017. The coaches ensure with their sincere hard work that each of us receive personalized attention so that we remain consistent throughout the season. Wishing the club all the best in all their future endeavors. I was quite skeptical initially...it was not easy...however motivational and meticulous approach of the coaching team made it happen...variations in training kept it always interesting...both Jalal sir and founders ensured that each of us get personal attention...And what a superb outcome...I completed my first half-marathon like have been running for ages!! Big note of thanks to the entire Team...Superb...Keep it up!! Keep up the good work Entire Team. Our club is a great platform to achieve one's fitness goal. 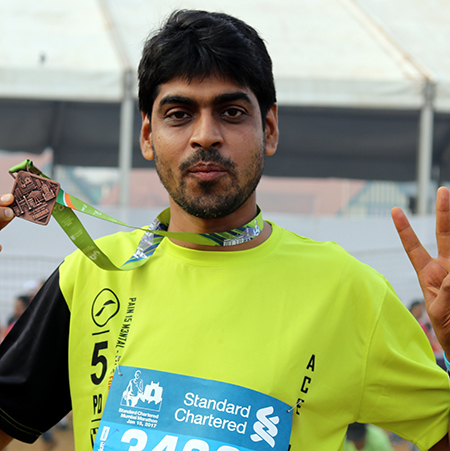 The comprehensive training schedule helps me to improve not only the performance but also the overall satisfaction of completing a marathon. They are delivering a good quality training program at reasonable cost. Long Live this club !!! Even when I said I Can't ! They said I Could !! Even when I said I Won't ! They Said Do It !! Even When I Said I May lose ! They Said go and Win !! Even when I Said I DNF !! And they brought the best out of me !! If you thought running is easy you are right and wrong both, yes running is easy but running long distance, without injuries and running strength to strength from one run to another requires, constant guidance, lots of training and motivation, because Long Distance Running is less of a physical and more of a mental feat. 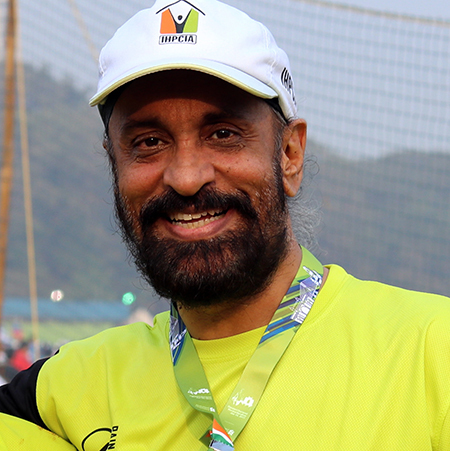 At our running club, started by two Long Distance and Passionate Runners. 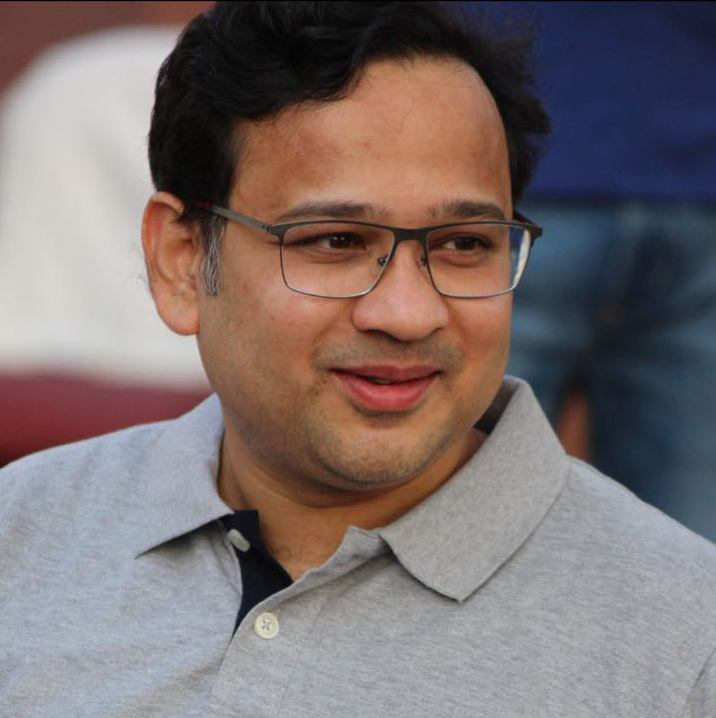 Guided by a Team of Trained, Professional coaches with Personal attention headed by Pravin Parab, you can be rest assured that you are in able hands. My Journey with the group has been amazing with two Half Marathons in First Year. I am really really thankful to the club. 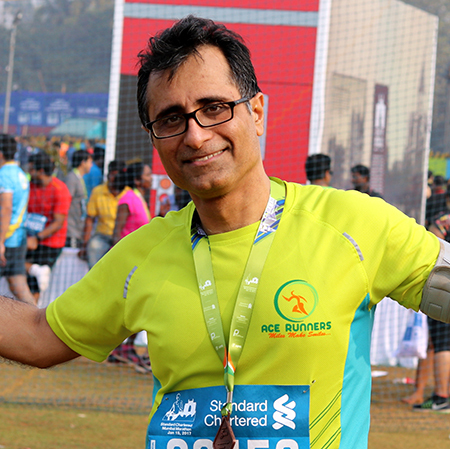 I was a regular runner in Ahmedabad, where I hail from. 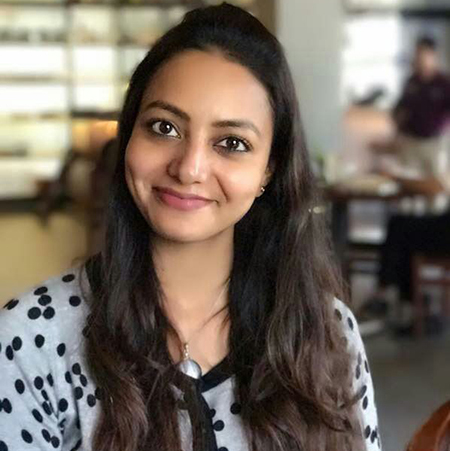 I moved to Mumbai last year and was looking for a group to run with. I stumbled upon a their flyer and decided to try their program. I was readily enthused by the coaches' approach towards each individual's expectation. Soon I was hooked on to the energy of the group. The best part was that coaches understood individual goals and set milestones with a follow up and follow through to the SCMM goal in my case. My fitness levels have really improved and I look forward to the next challenge. The club is a bunch of fantastic coaches and enthusiastic administrators. I highly recommend the club to anyone looking for marathon training or regular fitness. I feel really lucky to have discovered the club, a group of extremely capable and dedicated coaches along with some very enthusiastic and fun loving runners. The efforts of the coaches and the collective group energy has shaped all of us into a group of excellent marathoners in less than 6 months. My sincere thanks and appreciation to my co-runners and to the entire team. Happy running and keep making the miles smile. 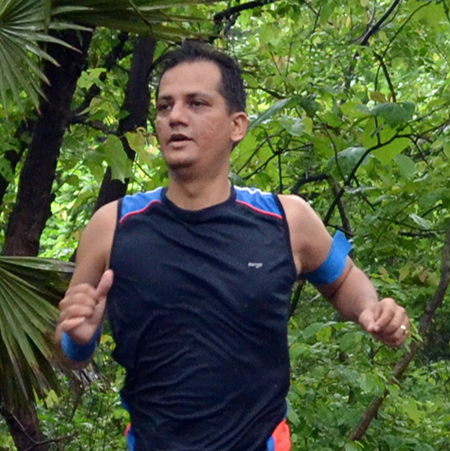 Running in the form of exercise is the best way to keep oneself fit and fine. But as every activity has its own advantages and disadvantages running contributes to this. But if an individual is trained by professional in systematic way than the chances of injury are minimal. My experience with the club has been fabulous as they followed the scientific approach towards training. Every session from day one was planned meticulously. 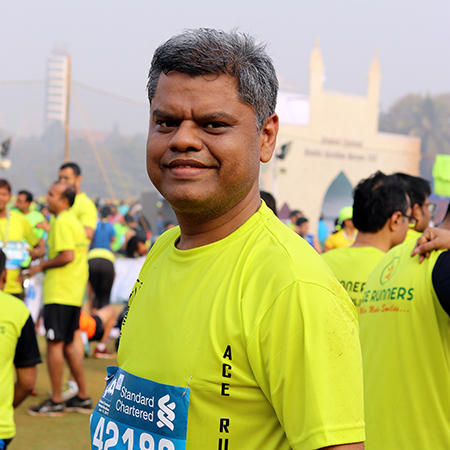 Long runs were designed in such way were in every individual could get familiar with the route of SCMM and hence build a confidence on not only completing the marathon but doing it in stipulated time. K Raheja Corp Pvt. 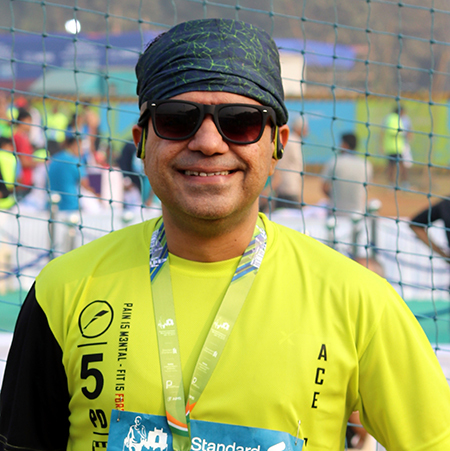 Ltd.
Getting physically fit enough to run a marathon was a dream cherished by me for many years, though remained unfulfilled due to lack of motivation, support and the right training. Every year the heart would yearn on seeing a marathon pass by and the feeling would fizzle out after a few days of attempted running. I joined group training program in my area around 6 months ago. The last six months have been a life changing event for me as from scratch the superb coaches have made me fit enough to run 15kms at a stretch! Their policy of focusing on core strengthening, regular hydration and enjoying the whole process of getting physically fit is spot on!! Kudos to entire team! All the Best! I saw the one page advertisement in our Society complex and I immediately contacted them. They put me on to the whatsapp group and from thereon I was guided to do how and where. Thereafter the training started and we had a coach in Amol Shinde who tirelessly and without any hesitation guided the participants and the new comers very well. The Sunday runs were managed very well wherein we were introduced to the Head Coach in Pravin Parab who was another gem. 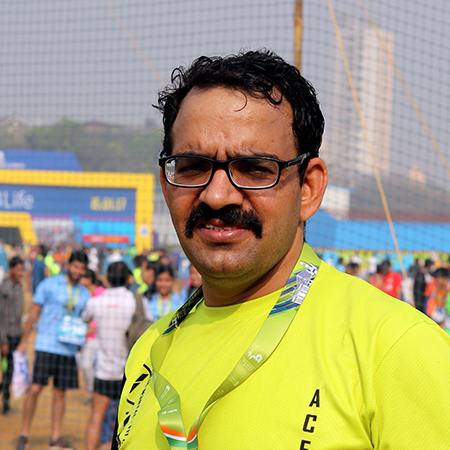 The dedication, patience exhibited by each of the coaches both during the weekly schedules and also during the long runs kept me motivated and the practice culminated in my completing half marathon – SCMM in Jan 2017. I am totally impressed with the dedication of the team, communication update and in tailor making the schedules to each of the participants that has kept me motivated to carry on with them. I plan to stay with this team in coming years as well as they have all become a family for me including the founders. I wish them the best in days to come. Being a healthcare company, GSK actively looks for opportunities to promote wellness and wellbeing for our colleagues as well. 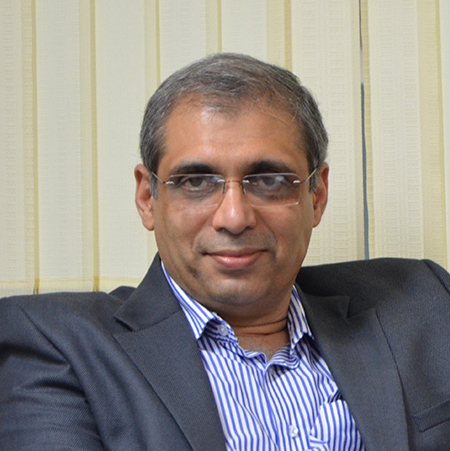 GSK strongly believes that preventive healthcare is the best form of self-service. Partnering with the club for our Marathon training was a positive step in this direction. We saw our colleagues not only improve drastically on their marathon completion timing, but also on their overall fitness. Their approach is not just limited to fitness training but goes beyond to build a camaraderie where each one is inspiring and motivating the other to set and accomplish their fitness goals. I have personally gained immensely from the programme and am moved by the approachability of the founders and the coaches. They pay individual attention to each participant such that the fitness training seems to be based on common principles but customized to individual’s stage of training. I wish them all the very best. They are certainly making our city healthier and happier, one running step at a time! “You have two lives. The second one begins when you realize you only have one." I thank my stars that I was introduced to this club because this is 'my second life'. We all have built our own boundary walls and we are happy to not to cross them. If it was not for the club I would have never taken up running. 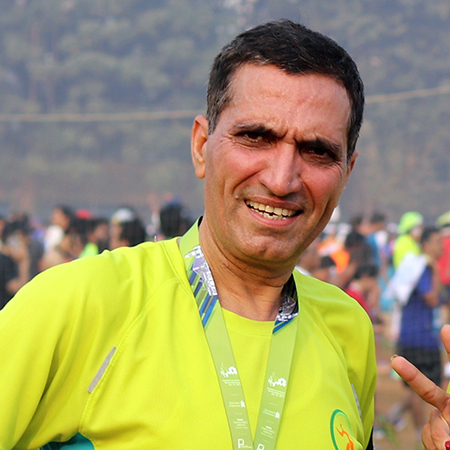 It was my firm belief that I could never run as I have never done it in past 42 years. After introduction it took me 1 month to go for my first training session as there was apprehension that how can I run. And true I could not even manage 100 meters. But now distance has no relevance. I cannot imagine my second life without running. Running gives me peace. It gives me time with myself. It’s like meditation. I am all rejuvenated and childlike once again. There is enthusiasm once again. Nothing seems impossible now. Thanks this club for all this. What I like best about the club is that Founders & entire team are so passionate about the whole thing that it doesn’t seem they are managing this group. In fact it feels like one big family..... And it’s always growing. All coaches are thoroughly professional with a very personal touch. We have made so many new friends and I am enjoying every bit of this life. Hope to continue running with my new family. When I joined the club in July 2016, I could barely run a distance of 1 km without getting totally breathless and beginning to walk the rest of the assigned distance. I used to be regular about my daily walk of about 5 km though, so it wasn't as if I were a couch potato! 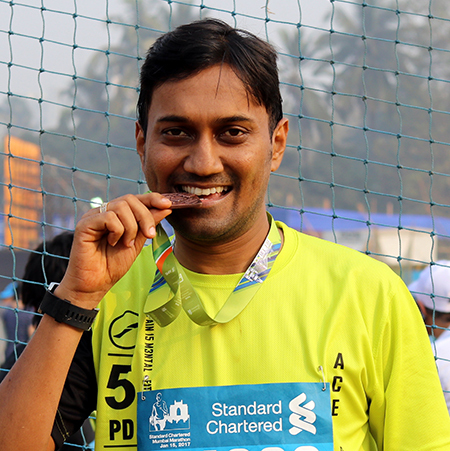 Within a month, I surprised myself by completing a 10 km run for a timing certificate required to register for the SCMM 2017, which suddenly appeared feasible! I remember after a Sunday long run in October, asking our Coach how we would make the transition from 10 km to 21 km? He said, don't worry, it will happen soon. In November for the first time I did 17 km - I couldn't believe it. 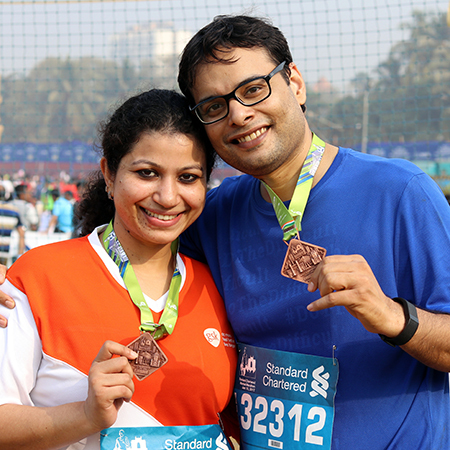 In December we participated in the VVMM, touching 21 km for the first time! And finally, in January, SCMM 2017.... I remember my thoughts on the night before the SCMM, I looked back at over 700 km of running practice - this was the moment of reality. Yes, I did, along with a whole lot of our club, celebrate success as we crossed the finishing line and looked back at what we had achieved. Not one of us suffered any discomfort, and all of us were back at our training sessions next morning - a tribute to OUR COACHES. Yes, today we are all ACE RUNNERS, today running is a way of life. Thank You entire team of this club. 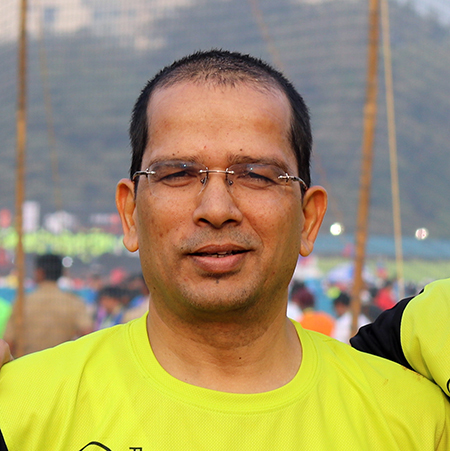 Coming from an organization where senior leaders lead from the front even when it comes to fitness with our CEO an avid marathoner. Running was always on my mind- I did try running 10K few times but it was more of a walk/jog, no serious running. Not seeing results started losing interest and slowly excuses for not running crept in, in the form of back to back travels, hectic schedules and health issues post diagnosis of MS. I had a chance encounter with the club through a whatsapp forward and since their trial class was happening next door, I thought why not give it a shot. A month of trial class - and I could feel the difference in strength & stamina .Coaches made the session not only interesting but variation in exercises kept me attending more. It has been 8 months I have trained with the group, completed 2 Half Marathon and 6 10K's - with each race my pace and endurance has improved. Looking back I could have only remotely dreamt of doing this. The individual focus and attention coaches and group provides is the differentiator .It’s like a small running family where everyone wishes and works for the betterment of all in the group. Running along with Coaching /Training with this club is worth every penny spent as ROI has been exceptionally high. Thanks to the club for making running a memorable experience. Ace Runners is a gift of God that I will always cherish and be thankful for. I always had a dream of running but never had an action plan. My first meeting with Coaches was the first step to the world of running. They are great motivators. They have me the confidence and assurance, " Yes, I too can run". Thereafter, the able guidance of our coaches Pravin Sir, Jalal and Manvesh has helped to overcome the fears. The systematic coaching has helped in building endurance required for long distance running. Running has helped me evolve as a different person. I am much more patient, focussed and relaxed. Running has helped me make new friends. Together we set new goals and achieve them collectively. You feel good when you get compliments from colleagues, friends etc but you feel proud when running makes you a role model for your children. It's priceless. Thanks to entire team for everything..